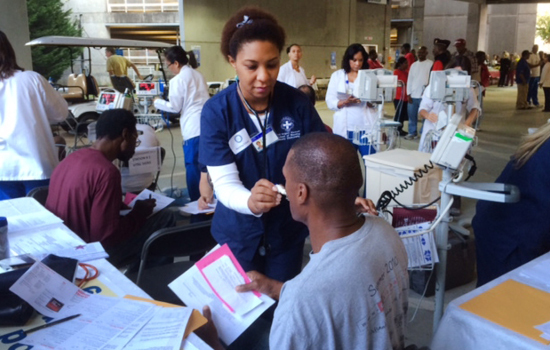 Last fall, students enrolled in the VA Nursing Academic Partnership Program joined members from more than 40 agencies for the Homeless Stand Down 2013, sponsored by the Atlanta Veterans Affairs Medical Center. The annual event provides food, shelter, clothing, health screenings, and benefits counseling for hundreds of homeless veterans. To view more photos from the event, visit bit.ly/stand-down.